It seems like it was yesterday when we were all wondering what the hell Pharrell was wearing on his head or why Beyonce photoshopped her thigh gap in a photo on Instagram. Sure, other important things probably happened in 2014 — maybe you got fired or your ex married your best friend — but those are all obviously trivial in comparison to this year’s biggest trends in hip-hop fashion. 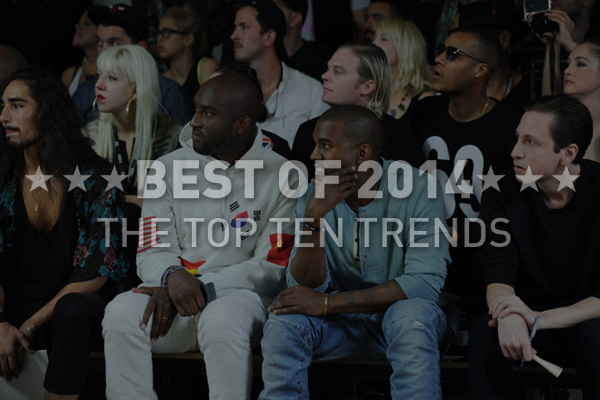 Let’s take a look at the good, the bad, and the “please stay in 2014, thanks” trends of 2014. Ah, perhaps one of my favorite trends thus far in my 22 years of living. Comfy joggers, soft hoodies, lightweight Roshes or Flyknits – the only boy I need in my life is a cozy one. The cozy lifestyle made itself known not to be confused with the lazy-boy lifestyle, having fashion meet comfort. It was and is still an amazing trend, and I say we keep on being cozy until there is no tomorrow. 2015, can you bring me any more comfort than this without me having to be naked? Accept the challenge please. 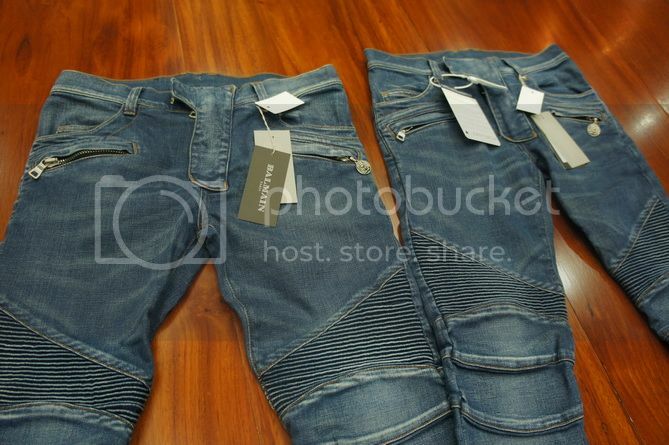 From biker denim to distressed denim to skinny skinny skinny jeans, denim made strides this year. Denim has been around for ages, yet the fact that it can still progress and become innovative or reinvent an old concept is fantastic, so good job. 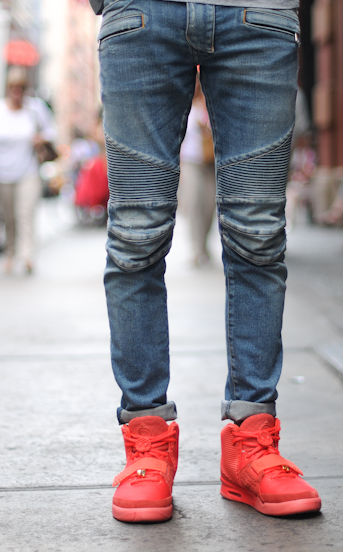 From Balmain, to Stampd to the UK, the biker denim is probably one of my favorites of 2014. I don’t know about you, but when I’m buying work out clothes, I generally do not think to hit up Beverly Hills. However, in 2014, APPARENTLY it became cool to like, work out and be healthy – whatever that means. With that, brands like Nike boomed with success in their seemingly simple work out apparel. Of course, retail stores jumped on this as well, such as Forever 21 and H&M creating their active lines. However, the active wear from high fashion designers like Alexander Wang made their marks in the ever growing #fitspo audience, creating a fantastic grey area between #OOTD and #fitspiration bloggers. 7. Extended Tees, Layers, and Side Zips, Oh My! I categorized these three together because often times, the tees with the zips are extended tees, and one of the tees that are being layered is usually an extended tee. That’s my fashion algorithm. You’re welcome. On the real though, the layering has grown from the trends we once were ever faithful to in middle school. Don’t you remember layering your Hollister shirt with a white Hollister tank top underneath it to create that color block over your Abercrombie and Fitch jean skirt? No? Just me? Ok. For me, I kind of hate the extended tee (on myself) because I am a small person with an ambiguous body shape and short extremities – however, I’ve realized that the extended tee looks excellent on many other people, so I’m a supporter. The zips on the sides are so unnecessary; why do you need to unzip the side of your shirt? But is fashion practical? Absolutely not. If it were, all of my leggings would have pockets and a cup holder. I’LL SHOW YOU FASHION! With all that said, the trend of elevating basics (not to be confused with upgrading from your ex-lover) was truly strong in 2014. Though we may thank Cher and Dion for monochrome outfits and matching sets, this year really brought out the monochromatic sets from different brands. From matching fashionable track suits to two piece sets to wear on a night out, 2014 supplied us with less thinking and coordinating colors and styles – just grab the matching bottom to the top! Ok now I’m not saying all black is not a thing – trust me, you don’t have to change the “I’ll stop wearing black when they make a darker color” background on your home AND lock screen, chill. 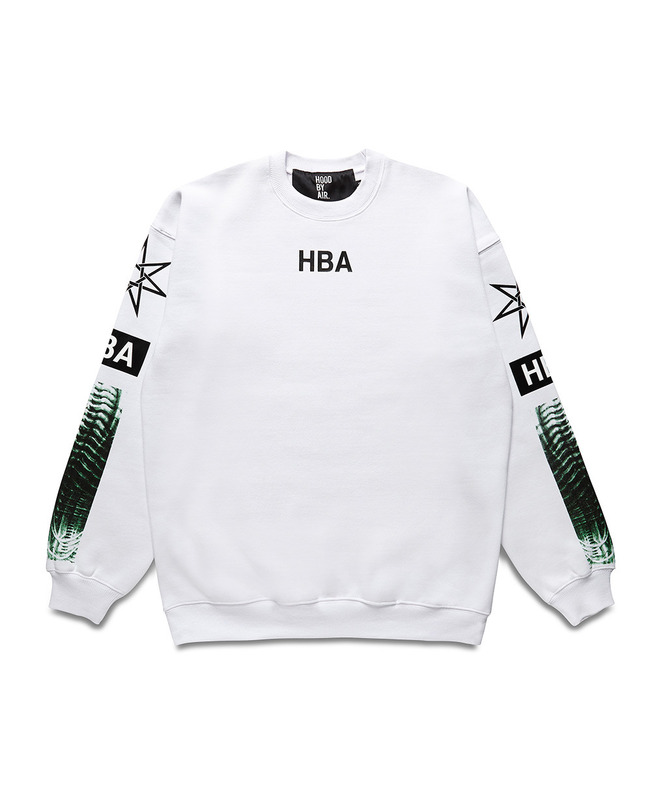 However, brands began to make a HUGE step in their visions, trying to release all-white lines and capsules. White?! Who would have thought!? Oh man! And sure enough, tons of brands had a lot of success with their all-white collections. Good job. Way to really think out of the box guys. I get it, jerseys were cool! They still are cool! They’ll always be a classic! Don’t stop wearing them because of me! I’m just a random person behind a computer screen sitting at Starbucks! However, can we just like stop making them right now. 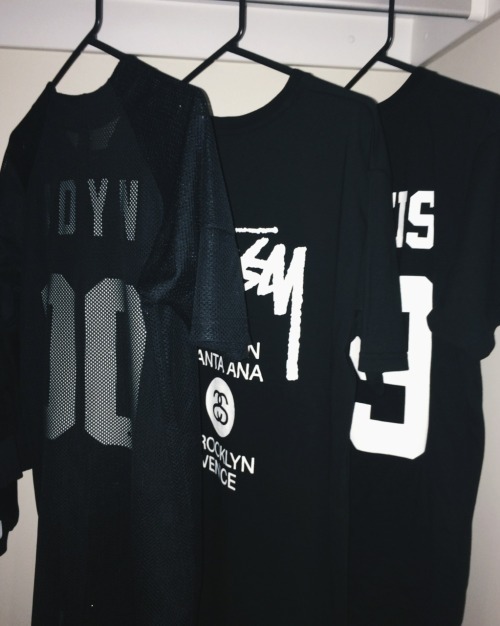 Since everyone decided to make them at one point because they were so damn popular and EVERYONE WANTED THEIR OWN INDIVIDUAL “INSERT NAME OF BRAND HERE” APPAREL, there’s an overflow of shirts with two stripes on the sleeves and numbers on the back with verbs that are either irrelevant or terrible puns. We’re all players in the fashion game here, so let’s make this a team effort to #StopProducingJerseys2015. 3. 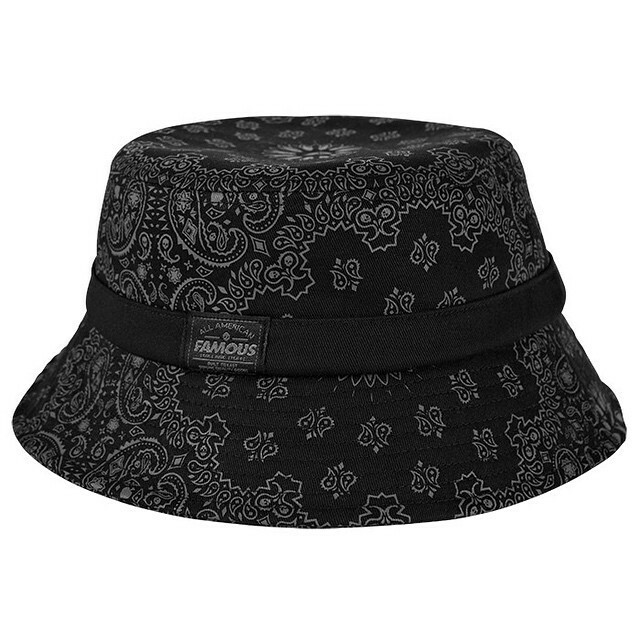 Bucket Hats and Paisley. If you haven’t read my post earlier in the year about the trends in hip hop fashion that weren’t killin’ it and were killin’ me, well… go click that and then come back here. I basically am done with paisley print and bucket hats. They’re like the ex that cheated on me but I didn’t tell any of my friends because he made me sound like I was the crazy one, so he still sticks around just to piss me off and all of my friends think he’s still cool and charming because they don’t know what he’s done. If I could choke a bucket hat, I would. I present to you the man bun. Though it is not a material item to wear, men who care for their hair excite me exponentially. The man bun made its way throughout the year, starting from a simple pony tail thing to the hard lines and shaved sides to the samurai bun and all that jazz. It’s had mixed reviews throughout the year, but I personally enjoy them ever so much – on those who can pull them off, that is. I guess that’s with any sort of trend or style; anything looks good on someone who can pull it off, sigh. Let’s be honest with ourselves fashionistos, much of this list is comprised of trends that Kanye West had some hand in at some point or another. 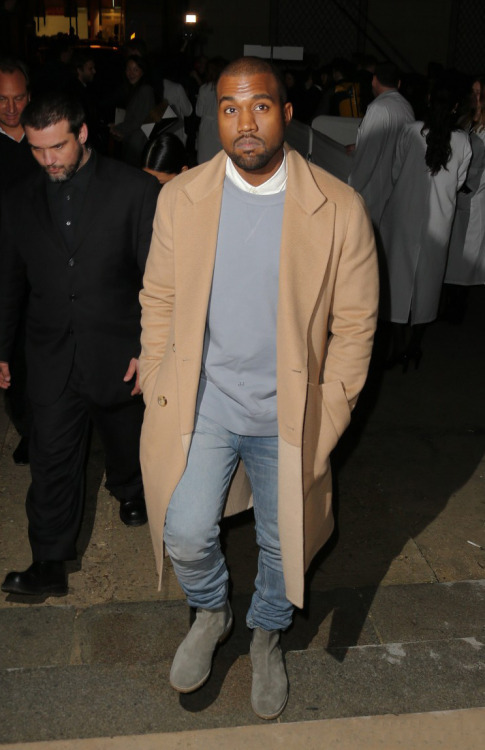 Whether it be rocking elevated basics and chic minimalism, to flossing in Balmain biker denim and a camel long coat, Mr. West was always in the building that trends built; or rather, certain styles made a home in the house that Yeezus built. 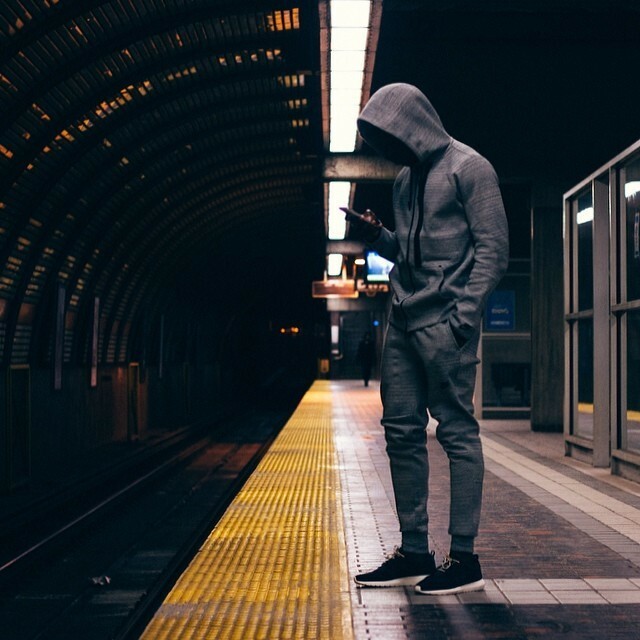 Though the man is as abrasive and polarizing as can be, there’s no denying that his sense of style is so influential that Chelsea boots and adidas Stan Smith’s became the norm in men’s footwear of 2014. 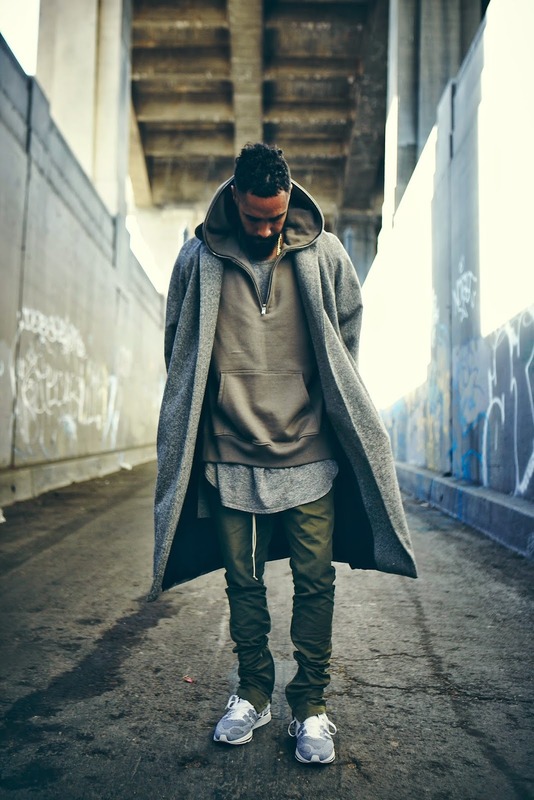 Really, there’s no acting brand new here, as Yeezy definitely taught us plenty in fashion and style yet again. 2014, I enjoyed everything that you had me wear, and I expect great things for 2015. One piece of fashion that I know will never go out of style is confidence! So make sure to stock up on those at any retail store. And remember, you don’t need to get the overpriced Confidence — it’s about how you wear it.